Home » About » Why NowSMS? The Now SMS & MMS Gateway is an extremely powerful and flexible tool deployed by over 3000 customers in more than 125 countries on six continents and dozens of island territories in between. However, it is unusual for any one NowSMS installation to make use of all of the features of NowSMS. It is more typical that customers will use only one, or a few, of the many features of NowSMS. 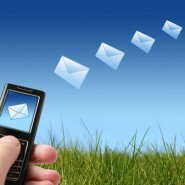 Below are some of examples of the more common ways that different customers use NowSMS. It is by no means a comprehensive list of usage scenarios.